Hello, Lindsay Lackey! Thank you for visiting Watch. Connect. Read. to share the cover for All the Impossible Things. I love Elizabeth H. Clark’s design and Inkymole’s hand lettering. 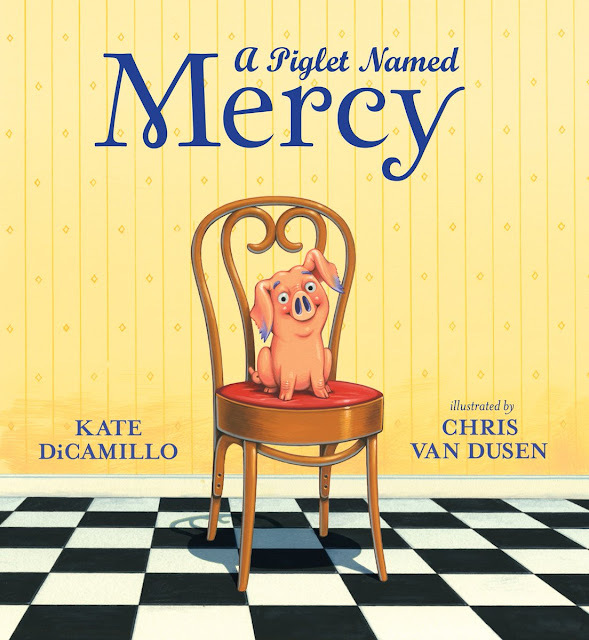 My eye went right to Newbery Medalist Katherine Applegate’s words at the top of the cover: “Wise and wondrous, this is truly a novel to cherish." Lindsay Lackey: Hi, Mr. Schu! I’m a big fan of yours and it is such an honor to be here! I have to be honest: I still can’t believe this gorgeous cover is for my book. It is just so stunning and magical, and hints at so many elements of Red’s story—I am in awe of Elizabeth’s talent, and am so in love with Inkymole’s work. It’s a dream come true! And since you mentioned the blurb…Wow. That’s another thing that is surreal. I’m a huge fan of Katherine Applegate, and actually had no idea she was reading it until my agent sent me her incredibly kind blurb. I burst into tears in the middle of a restaurant when I got the text. I never imagined that someone who’s work has influenced my life for so long would ever read anything I’d written, much less praise it so generously. I am so grateful to the many people who’ve given so much time and talent and love to Red! Scenario: You’re sitting next to a fifth grader and his mom during a flight from San Francisco to Denver. They discover you’re an author and want to know what your debut novel is about. What do you share with them? In All the Impossible Things, my main character, Red, is an eleven-year-old girl who accidentally causes tornadoes when she’s upset. Red is in foster care in Denver, Colorado, and has to move around a lot. She misses her mom, who’s in prison, and doesn’t have anyone constant in her life—not even a friend. So Red is upset—a lot. She goes to live with a new family at the beginning of the book, and they have a petting zoo full of rescue animals. There’s a goat that climbs trees, a donkey that feeds chickens, and a 400-lb tortoise named Tuck Everlasting. But Red can’t figure out how to control the wind that blows around her all the time, and when her mom suddenly comes back into her life, Red has to face some impossible decisions about what she wants and what she needs. Red, Celine, and Jackson all have a little bit of magic in them, and they have a little bit of sadness in them, too. But most importantly, they all believe that love can do impossible things. I hope All the Impossible Things will help readers discover something true. Whether that’s the idea that family comes in all forms, or that friendship can surprise us, that something as unlikely as a tortoise may help us find healing, or that the really big things we feel—the deep hurts, the wild anger, the fierce hopefulness of love—these things can be a part of us, but they don’t have to destroy or control us. I especially hope that readers will dare to believe that nothing is impossible, no matter how impossible it seems! Story is discovery. I discovered myself in stories of all kinds as a child—books about boys, books about girls, books about horses and gorillas and stuffed rabbits. Stories open up worlds for us to grow into. They give us the capacity to experience new lives and different perspectives. But they also give us the rare gift of self-discovery. I discovered I loved observing people because of Harriet the Spy. I learned to value my love for writing because of Anne of Green Gables. Through the words of Anne Frank, I realized that I, too, can be brave in my love for people and that I can hold onto hope, even in the dark. One of the most powerful things about story is that it allows us to step outside of ourselves and see others and ourselves with new understanding. I love that. Mr. Schu, you should have asked me where the idea for All the Impossible Things came from! It’s actually inspired by my own family. My aunt and uncle had grown children and were empty-nesters when they decided they wanted to foster children who needed a safe home. One day, my aunt was at a foster care event and saw a little girl. My aunt was already fostering a boy at the time, but she suddenly knew that that little girl would be her daughter one day. Years later, my aunt and uncle adopted that girl—and the seed of this story was planted. I loved the idea of a middle-aged couple opening their home and lives up in a way that many see as unpredictable, frightening, and even impossible. My main character, Red, is nothing like my cousin because I wanted to protect my cousin’s privacy and right to her own story. But Jackson and Celine do share a lot of qualities with my aunt and uncle—their love, their imperfection, and their courage. But mostly, All the Impossible Things is a tribute to the amazing lesson my family has taught me: that love always finds a way. Thank you so much for hosting my cover reveal, Mr. Schu! It is a privilege to celebrate with you! Thank you so much for allowing me to reveal the cover and for answering my questions and finishing my sentences. Congratulations! 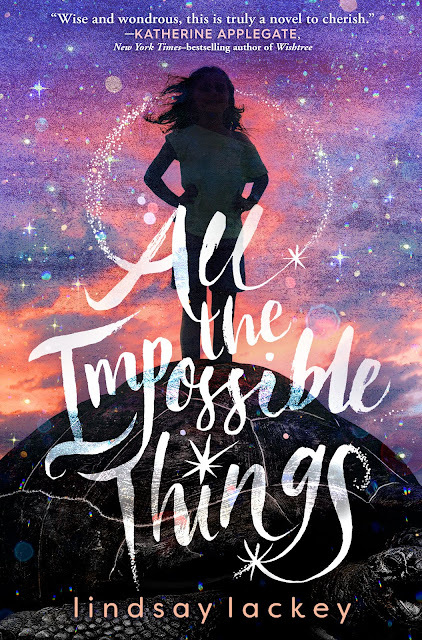 Look for All the Impossible Things on September 3, 2019.